Celebrate winter with photos. Create a custom photo card to share your best winter pictures and stories with loved ones. Winter photo cards are great for sharing the first snow and your first snowman. Share your seasons best memories with a photo card! 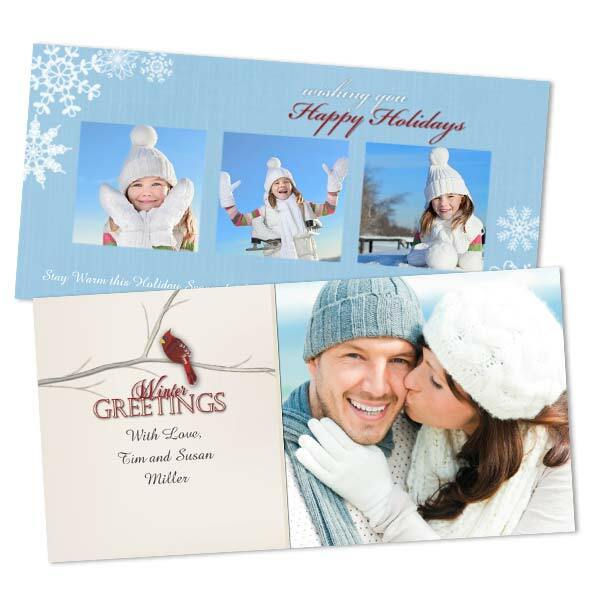 Winter photo cards are also great to send out during the holiday season. Choose from various winter greeting card templates or check out our popular double sided Christmas cards and Hanukkah photo cards! Personalize them with a winter themed family photo or a picture from your last holiday get-together.